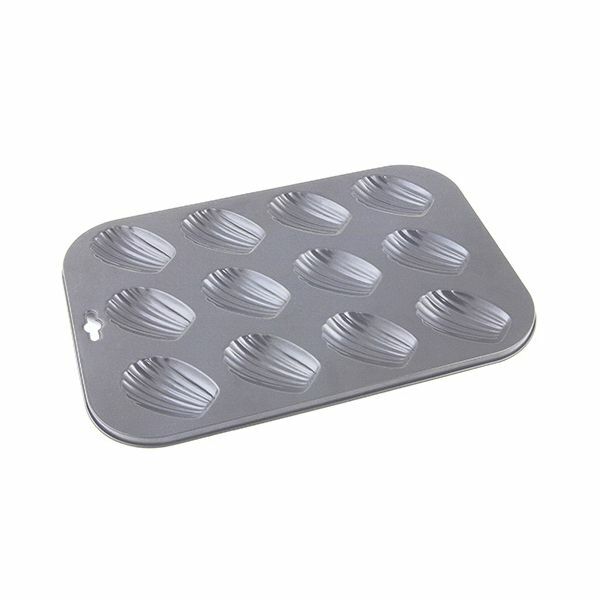 This baking pan is a must to turn out perfect Madeleines, the traditional French, shell-shaped sponge cakes. The pan is made from heavy gauge steel with a PFOA-free non-stick coating and is heat resistant to 230°C / 450°F. Size of pan: 38cm x 26cm (external), size of each shell: 8cm x 5cm.